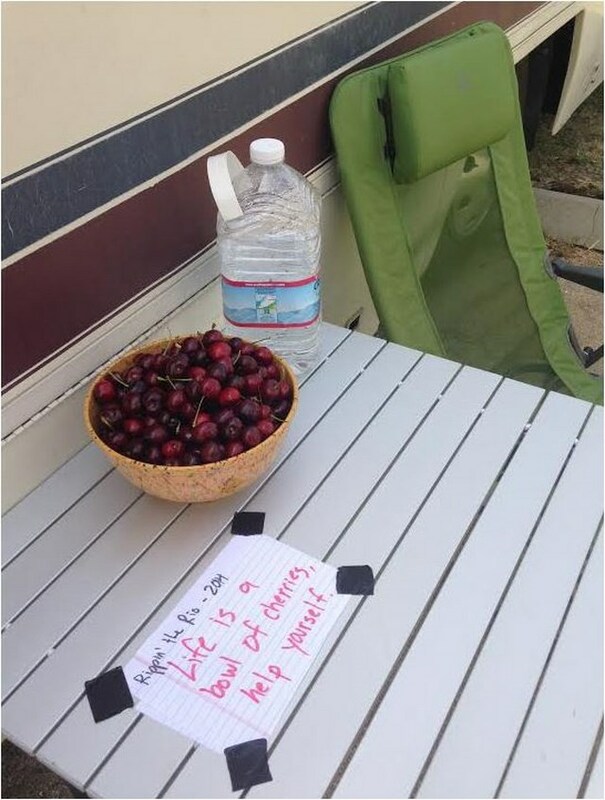 The laid back California Delta, an area in a virtual time warp. Things move slower out here. A wide, spread out patch of earth where rolling hills meet the lazy, slow moving lower arms of the Sacramento and San Joaquin rivers. Roads are for the most part 1 lane, the bigger ones 2. Miss a turn and you are either in a body of water or a farmer field. Bridges provide access to a number of islands, others you need a boat. The summers are hot and if it wasn't for the thermal winds bringing in cooling breezes off the Pacific, life would be much harder. 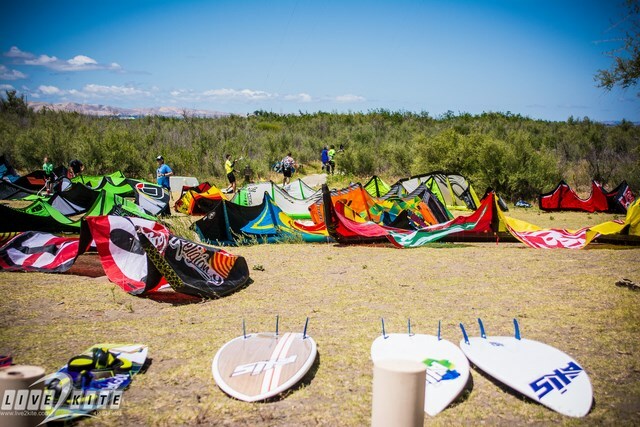 It's been decades since an organized windsurfing event has held camp here, and from what we know, an organized kiteboarding event has never been done. 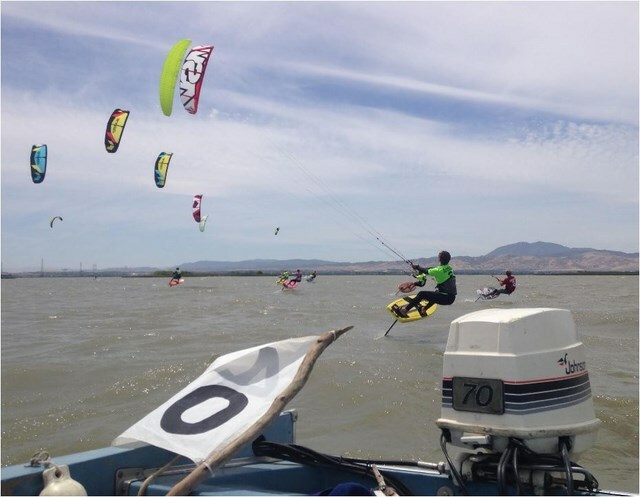 Robbie Dean now heads up West Coast Kite Racing Tour, a 6 event series that began with the Elvstrom Regatta at the St.FYC, then moved to Sherman Island for this event before it works its way to other events up and down the West Coast. We'll elaborate more later, but back to the Delta. We had spoke with locals Randy Lake and Adam Koch last year about Sherman Island, where they spend an enormous amount of time training, and if they had ever organize any events there, and the answer was no. The problem, logistics. The fact that kits require a sizable launch and retrieving spot is difficult with the compressed existing site dotting in Sherman Island Area, and there was no impetus. 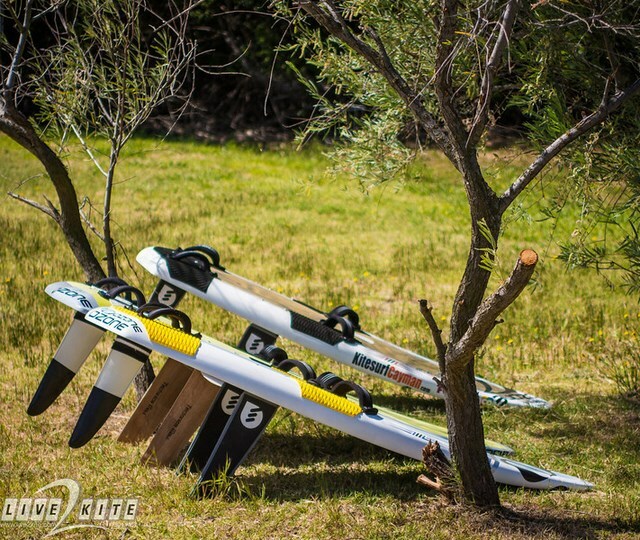 Enter Robbie Dean and his ambitious plan for a pro tour for the kite foilers and race board disciplines. 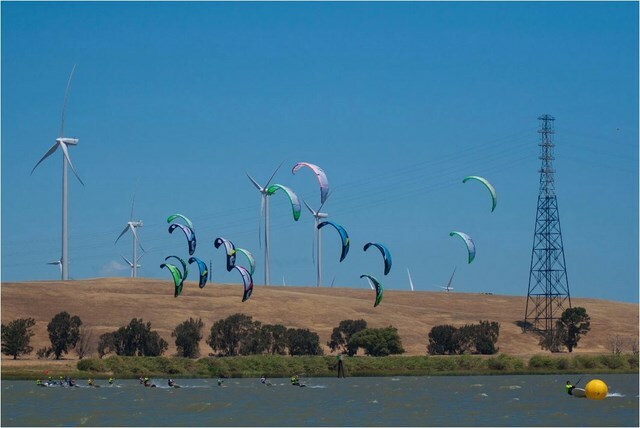 Robbie is also an avid kiter and saw the potential for the area as well as the difficulties. 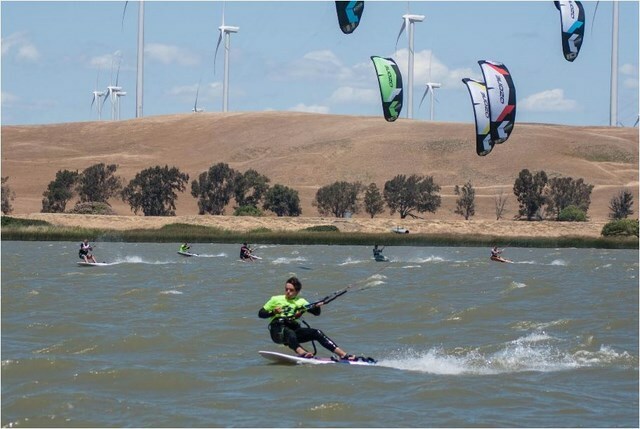 Robbie submitted the plans for the event to the governing board, the International Kiteboarding Association for approval, and they said yes, Robbie ask if they could get tour ranking points and they agreed. " 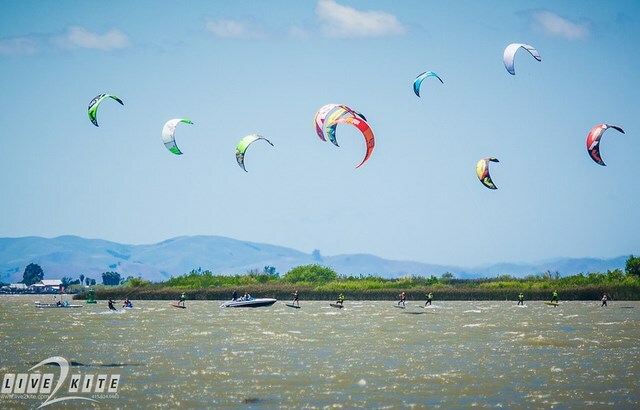 We knew then, this is for real, and we need to make it work" Robbie said "The biggest hang up was the narrowness of the course, relatively to what kiteboard racers are used to, with narrow corners and obstacle avoidance being a big concern. But to our relief, the competitors were into it and everyone had a really great time! So much so we are expecting the competitions out here to grow and grow"
Robbie emphatically says: "YES!!! We are looking at a number of sites for possible inclusion, Benicia, Pittsburg, Sandy Beach, Spinner Island and Sherman Island are all possible candidates!" 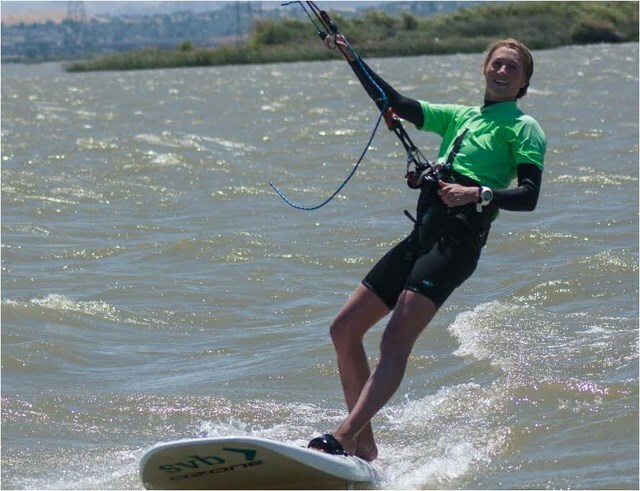 The tour now moves to So Cal for the Long Beach Hydrofoil Invite & US Raceboard Nationals June 6th-8th. The 4th sto will be in Vancouver B.C. for the Squamish West Coast Open July 18-20 and then Vancouver Island for the Nitinhat Canadian Hydrofoil & Raceboard Champs. The Tour concludes in San Diego at the SDYC for the Raceboard North Americans. The banks of the river delta hadn’t seen that much action in ages. Fisherman reeled in their lines and stopped to watch the show. 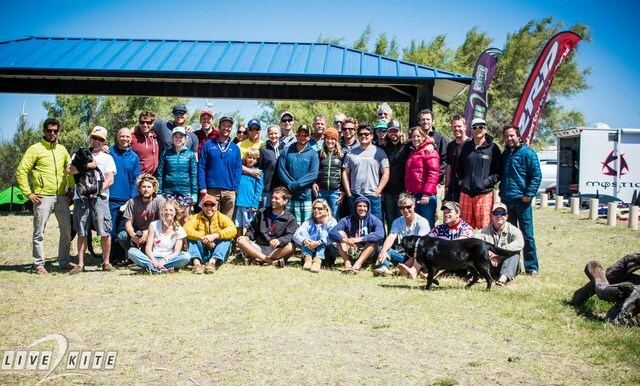 Gerry Lopez (yes Gerry Lopez), Nick Adamson (1996 Laser rep), Avery Patton (Yale Sailing alum), and Doogie Couvreaux (maxi-boat bowman) all sailed their recreational gear to the racing course just to get a look. Kite racers who usually opt for sailing to the corners as fast as possible were now tacking and jibing up a storm. They were Rippin’ the Rio. 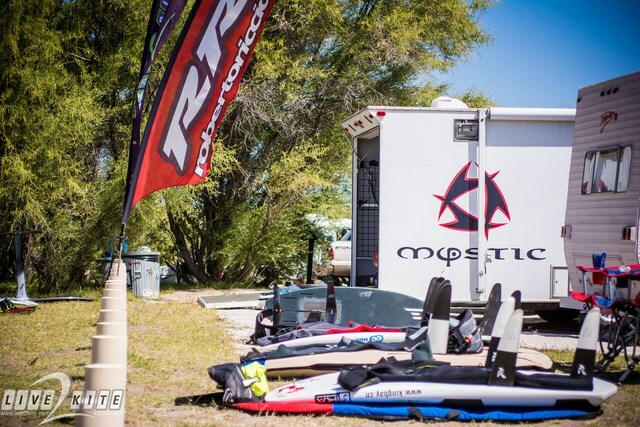 Both Formula Kite and Hydrofoil Kiteboard fleets were represented by the best in the world. Riccardo Lecesse from Colombia was flanked by Jhon Mora (Cayman) and Nico Landaur (Uruguay) on the podium. Erika Heineken, Jessica Sickinger, and Cynbad Brown took away hardware in the ladies fleets. 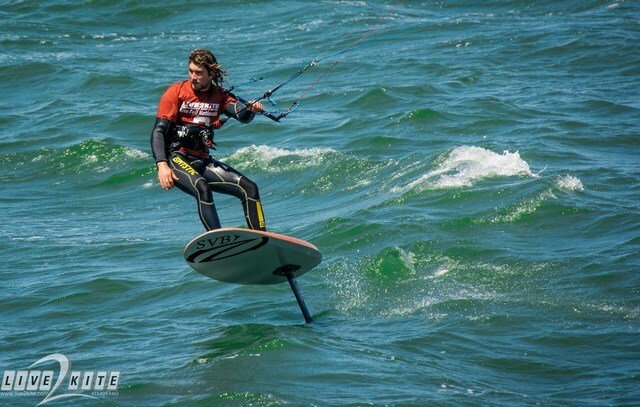 John Heineken, Joey Pasquali, and Adam Withington (Mexico) took their talent to the Hydrofoil fleet successfully. 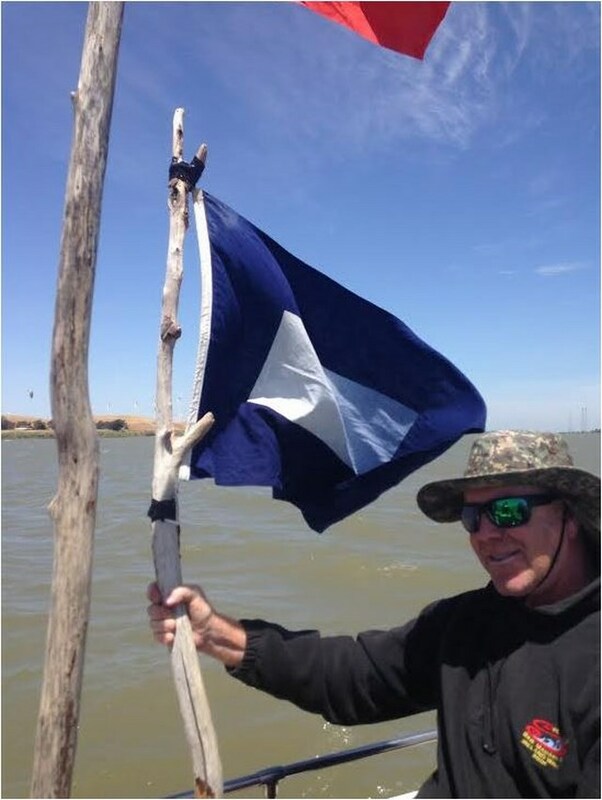 So if you see wind and waves somewhere special but you don’t see a marina nearby, no clubhouse, no running water, no 110v outlets don’t count it out. That could be the next venue for your fleet’s coolest regatta of the year.